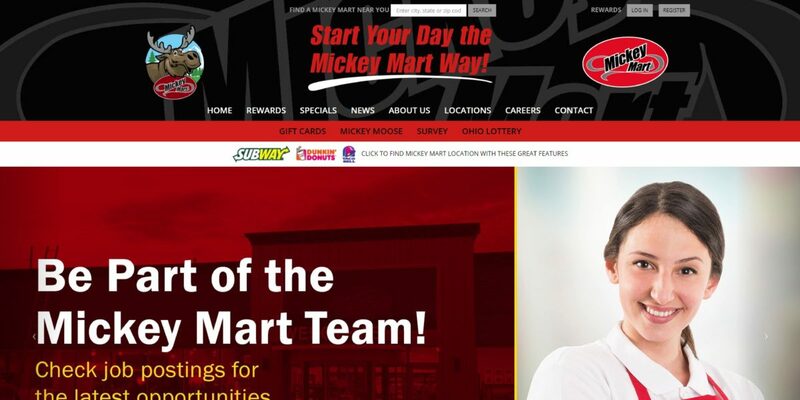 Mickey Mart convenient stores have been providing northern Ohio with a quick, clean, friendly place to stop for gas, groceries and convenience items for over 30 years. Headquartered in Milan, Mickey Mart is a locally owned and operated business with 38 convenient store locations, and growing! They take pride in offering their customers all the best in gasoline and products they want and need — inside and out. Micky Mart also operates a fuel distribution company under the name Coles Energy, which distributes their own fuel, lubricants and additives. Farris developed a completely redesigned mobile-responsive website for Mickey Mart with upgraded capabilities.